Less broadly, atheism is the rejection of the belief that any deities exist. In an even narrower sense, atheism is precisely the position that there are no deities. 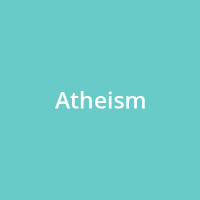 Atheism is contrasted with theism, which, in its most general form, is the belief that at least one god exists.